Despite a pledge to denuclearize, North Korea’s missile program is still up and running at a research facility outside the country’s capital of Pyongyang, and according to U.S. intelligence agencies, the North Koreans are working towards developing new weapons. Given North Korea’s track record on withdrawing from prior agreements, foreign policy experts are now extremely skeptical about the country’s intentions. 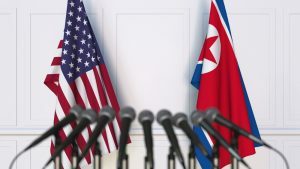 As the Post mentions, Pyongyang has indicated its willingness to make concessions “in part by dismantling key elements of a satellite-launching station that may have played a role in its weapons program.” That said, experts say those moves were largely symbolic. In 1994, faced with North Korea’s announced intent to withdraw from the nuclear Nonproliferation Treaty, which requires non-nuclear weapon states to forswear the development and acquisition of nuclear weapons, the United States and North Korea signed the “Agreed Framework.” Under this agreement, Pyongyang committed to freezing its illicit plutonium weapons program in exchange for aid. 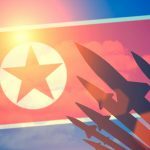 Following the collapse of this agreement in 2002, North Korea claimed that it had withdrawn from the NPT back in January 2003 and began operating its nuclear facilities once again. This revelation comes amid renewed scrutiny surrounding the Trump-Kim summit back in June. The two leaders centrally signed an agreement to continue to work toward completing denuclearization of the Korean Peninsula; however, a time frame was not discussed or mentioned. At a Senate hearing last week, Secretary of State Mike Pompeo tried to reassure lawmakers that the disarmament talks with North Korea were still on track and nuclear disarmament efforts were just getting underway. He acknowledged that North Korean factories “continue to produce fissile material” used in making nuclear weapons. However, he dismissed suggestions that Kim had deceived the administration. “We have not been taken for a ride,” he said. Since the beginning of his presidential campaign, President Trump continuously referred to himself as a “deal maker,” but it appears that North Korea is not holding up its end of this alleged deal. The Trump administration needs a much better approach when it comes to working alongside Kim Jong-un because as of now, their “peace and prosperity” method doesn’t appear to be substantial.